During the final two days of January, Harker’s Model UN team took top honors at the Santa Clara Valley Model United Nations Conference, where it represented Israel. 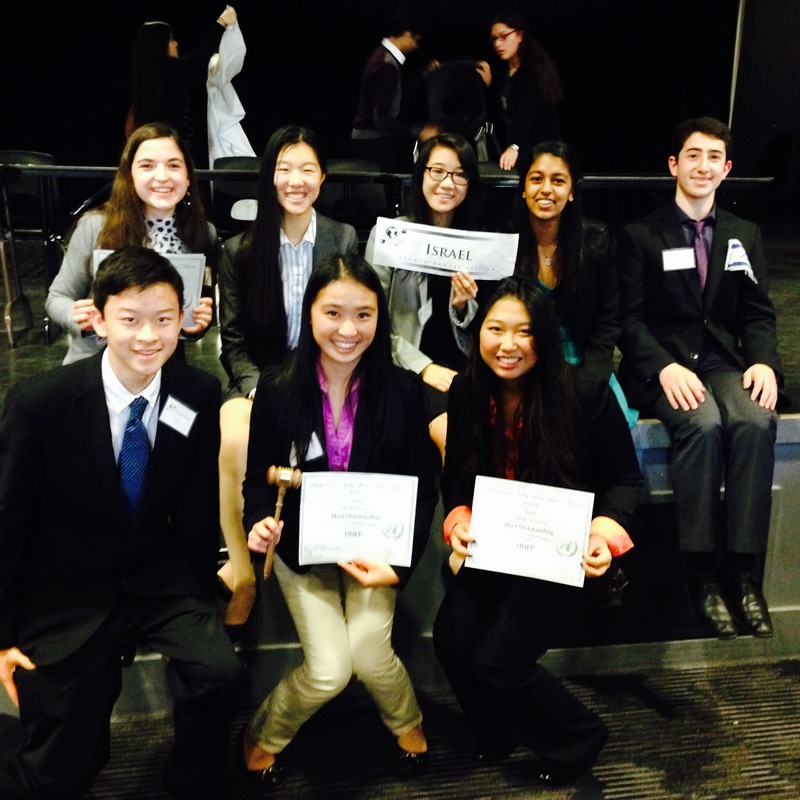 Shannon Hong and Sophia Luo, both grade 11, received the gavel and were named the UN Environmental Program’s most outstanding delegation. Meanwhile, sophomores Melinda Wisdom and Sandip Nirmel received recognition as an outstanding delegation in the Security Council, and Haley Tran, grade 10, was verbally commended for her work in the UN Social and Humanitarian Committee.